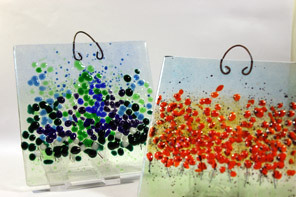 I create Fused Glass in my studio in the beautiful setting of Crieff, the Heart of Strathearn in Perthshire. 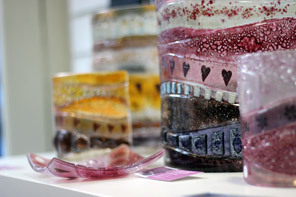 Using both clear and coloured glass, glass powders, frits and enamels, often with metallic or dichroic inclusions I produce distinctive objects which can be functional or purely decorative. My work can now be found in Galleries and independent shops throughout the UK but also in my own Gift Shop, Carnelian Crafts in Crieff.